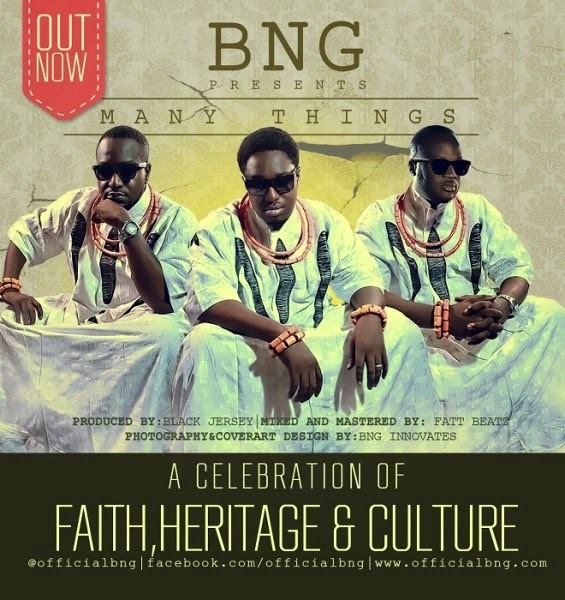 BNG expresses Celebration of Faith, Heritage and Culture in their latest video to their hit single “Many Things”. Enjoy this as you offer thanksgiving to God for the many things He has done for you. Faith, Heritage and Culture are universal precepts that have helped to shape the course of society from the inception of time. They refer to our belief systems, tangible and intangible inheritance, our perceived notions and social communication. These precepts have been the fulcrum upon which individuals have built personalities, formed ideologies and personal policies. It is therefore important, that every effort should be made, to consistently remind us of the richness of our Faith, Heritage and Culture.